When you don’t have an interest in something, reading a book on that subject can take an eternity plus another lifetime. However, when the subject matter checks the lists of your interests, reading a book is a breeze. When my copy of Inside Shelby American arrived Wednesday evening, I was turning the last of the 240+ pages by Friday evening. My dad even joked if I was sure I knew how to read the book correctly. Honestly, who isn’t interested in 2000lb cars with massive v8 engines stuffed between the frame rails? The author, John Morton, tells the story of his racing career, beginning with his enrollment in Carroll Shelby’s School of High Performance Driving. From there Morton asks for a job which turns out to be a janitorial position, and slowly works his way up the ladder for the next three years. 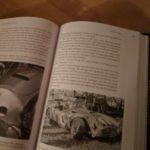 For the younger generations, it provides an opportunity to learn more about the “Golden Age” of motor racing from a first person account. There are lots of great photos to show you what was happening on the 1960’s racing scene. 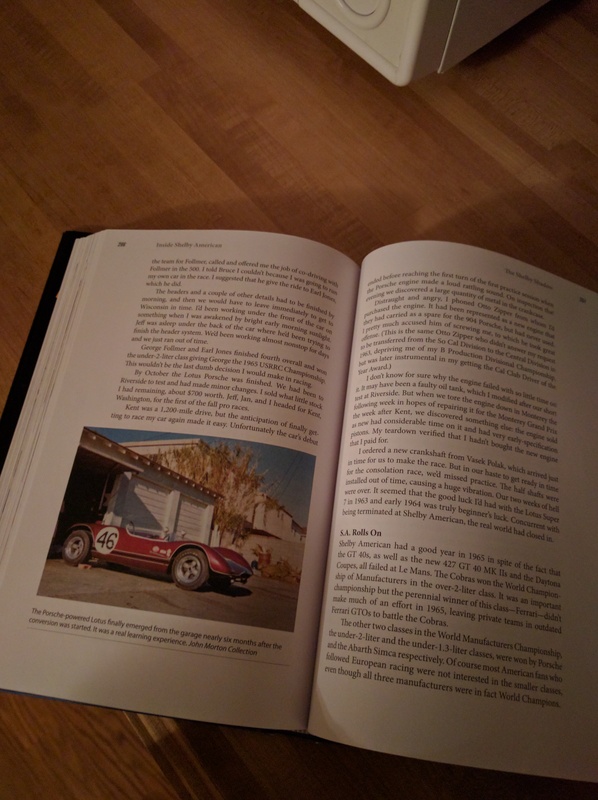 In addition to the Shelby factory team, John Morton shares his own amateur racing experiences throughout the book. A majority of the book covers the racing exploits of the Shelby American team during the early 1960’s, but also includes a coming of age theme. There are plenty of practical jokes and romance problems captured as Morton makes his way from a high school student sharing an MG TD with his brother in Illinois, to teaming up with Ken Miles in one of the first 427 Cobra roadsters. Not too shabby by the time you’re 22 years old. Reading this book also gave a great sense of the car culture of 1960’s California. 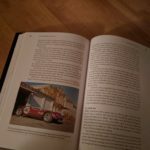 Whether it was small British sports cars, Le Mans prototype racers, or quarter mile slingshot dragsters, the scene is set throughout each page. It’s easy to read online about who raced which car, or when an event took place, but you usually don’t know much about the people themselves. 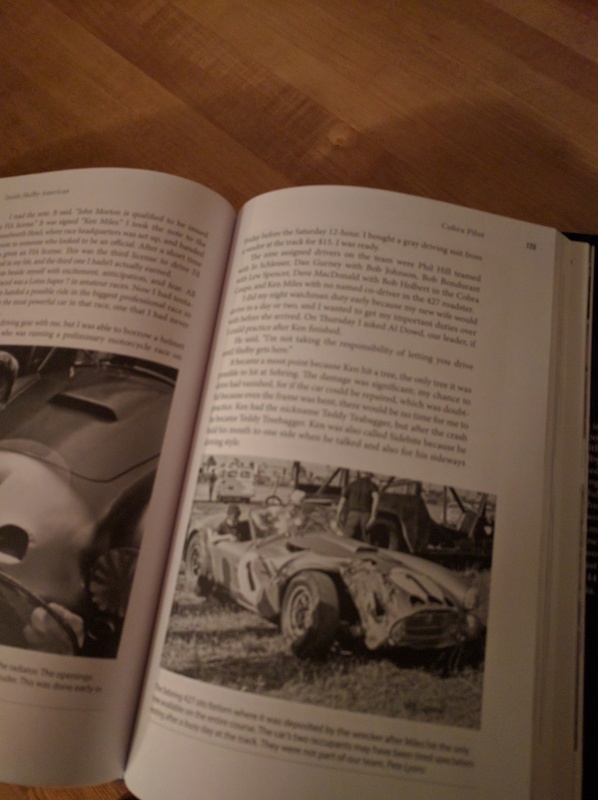 What stands out most throughout the book are the different personalities of the people involved with the Shelby team during the early years, particularly Carroll Shelby, Ken Miles, and Pete Brock. History will tell you that these guys were monumental to the development of sports cars as we see them today. 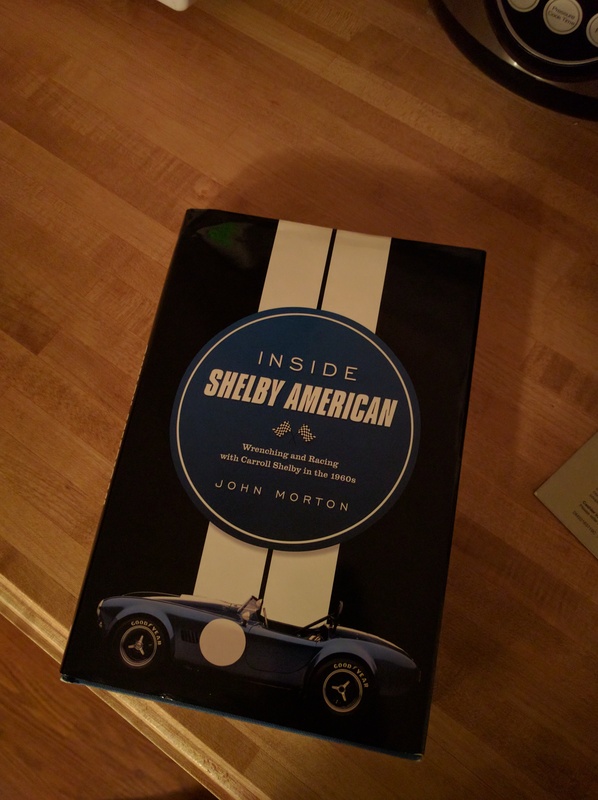 I don’t want to go into too much detail for fear of spoiling the book, but if you’re a vintage racing fan, then John Morton’s Inside Shelby American is a must read. There’s even a host of old photos so you know exactly what’s happening as the story unfolds. The book was about $25 and can be ordered from a variety of places. So take a moment to put down the wrenches and learn the inside story of how “The Snake” would go on to dominate the international racing circuit. Here’s where I ordered my copy.